Through your focus on cloud services in the medical field, I learned a lot about an area I generally do not deal with. Using a focus other than education to examine the merits of a service was a unique experience. Although informative, I am not sure how effectively the topic links to educational technology. Education of staff within the health care system is required with the use of cloud applications, but this is a very small part of your content. Another small link to education was made with the information about educational institutions and how they used cloud services within their medical programs. The layout of your site was simple and easy to navigate, and the “cloud” theme was consistent. The concept of working within our groups was effective and provided a forum for discussion. Unfortunately we had a lot of difficulty using Stormboard. The program is very similar to Padlet and does not lend itself well to extensive discussion or collaborative projects. In the end we used a Googledoc to complete our assessment tool. Although Stormboard did not work for this particular application, now that I have had the chance to experience the program, I can see myself using it for other purposes. A final suggestion relates to the assessment tools created by each group. Right now they are available through links that need to be copied and pasted. It may be more effective and easier to access if they are either added directly to the website page or if hyperlinks are created. Thanks for an informative week! Do Cryptocurrencies Increase Access to Education? Treehouse reports that learners’ most often pay with credit card, which usual cost 2-3% per transaction. Furthermore, international students need not bother with fluctuating currency exchange rates. Everyone also enjoys Bitcoin’s minimal transaction fees. Although Bitcoin currently has a high buy-in, the popularity of other cryptocurrencies is also rising. 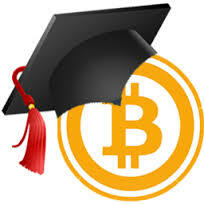 1.Is it inevitable that ventures in education technology will accept cryptocurrency as a standard method of payment? 2.Are cryptocurrencies a reliable source of funds for small start-ups like Treehouse? 3.Most importantly, are ventures and institutions accepting cryptocurrency truly empowering learners? I am not sure about you, but I know for myself it has been interesting watching my friends being their own ventures and forays into business…. and in Northern Ontario that is a big challenge (isolation, low populations, and sometimes a little bit slower to adopt new tech). I wanted to share with you, in case any of you are from the area, some of the new ventures that I have been connected with that involve media, the community and education on some level that have been formed at a grassroots level by local artists and entrepreneurs. Near North Mobile Media Lab – I have utilized the N2M2L to take workshops and private lessons in using Final Cut Pro, incorporating video and digital images into projects. They have a mobile trailer that has been customized to include a media lab, they drive around to Northern communities and do workshops to teach people how to use these tools. Thinking Rock Community Arts – this project was initiated by a dear friend of mine in the Algoma Region (Sault Ste. Marie) and has really taken off in the last year. Through art projects this organization seeks to build community and foster positive change (ie. various youth programs etc). These initiatives are so interesting because they use media to build like-minded communities, to share information with other communities, create networks and links between communities and overall improve accessibility to information, technology and positive change. I just thought these ventures might spark something in you to look a bit closer at your own community, or greater community because usually there are some hidden gems there! First, I was struck by the look and feel of your site. It is clean, polished and easy to navigate. I have an interest in coding, having tried my hand at several tools, so I really enjoyed the variety of activities. 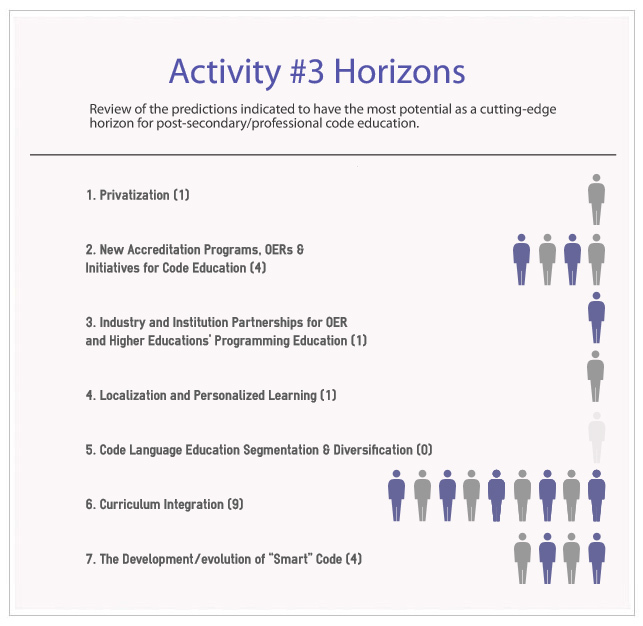 Activity 3 that takes a look at the opportunity horizons of various applications is very useful. I appreciate the wide selection of applications and know that I will be revisiting your site to explore further. Thanks for putting the OER together and for taking the time to respond to each comment posted. Great job! Please let me know if there are issues with the presentation as I was having some last night. Working at a Post-Secondary institution and discussing the product with our Social Media Specialist there are benefits of utilizing products like Schools App and UChat especially for Student Engagement. I found out that the Social Media Specialist has made a request that SAIT invests in the product and that SAIT is currently on the wait list. I don’t know if this product would do anything for our enrollment here at SAIT as we are at an all-time high for enrollment and applications. As for me in doing this assignment I don’t think I have a business type acumen. I really need to push myself to think this way, which is a great reason to take this course. This is something that I want to work on. I chose to analyze PresenceLearning, an online service that provides speech language therapy and occupational therapy to K12 students. It is predominantly used in the U.S. as this market has a greater demand at the moment for this type of service. As a high-school educator who has encountered many of my students who are in dire need of speech language therapy or occupational therapy, this service was of great interest to me. So many of my students are not diagnosed or assessed in time to get the help that they need to enhance their academic achievement. It would assuage the financial cost of private one-on-one therapy within a medical setting but also would advance flexibility and timely assessment of learners in need of communication or motor skills aid. The medium I chose to use is completely new to me, please enjoy and offer any feedback, insights or input directly into the blog of the site or under the comments below. 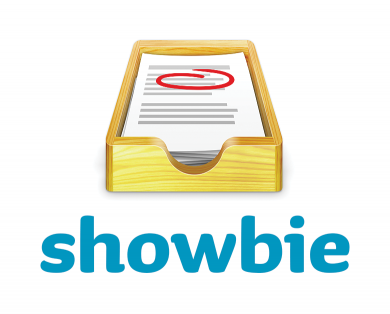 Any suggestions related to Showbie analysis, experiences and implementation are welcome. Here is my Analyst Report on the LMS company Schoology. I chose Knewton Inc. for my A1 Analyst Report. I am an educational venture analyst who is currently working for an Ontario school board. Besides this role, I have been teaching high school Math for many years here and abroad. Currently I am interested in sourcing out smart and viable educational technologies that could be integrated successfully in the classroom and that are in compliance with our board goals. As a mathematics teacher, I believe that automatization of math and learning with technology provides real-life context where inquiry based learning is enabled and Math becomes alive. The board initiative promotes not only 21st century skills but ICT literacy that will augment the student overall learning. The current need of the board is to integrate smart and effective technologies that promote high-quality teaching and learning while keeping the existing budget in mind. The curriculum document for learning math/science specifies that students ought to use technology (e.g. In my opinion, this should be extended beyond learning with calculators) to resemble the current market. To support the above, please refer to pg. 37 of Ontario Grade 11-12 Math Curriculum Document. Before the product is presented to our superintendent, a sample Likert Scale Survey would investigate how many teachers and students already use this software out of their choice or the competitive one (GSP) or any other one; the overall experience of the use of dynamic software in the classroom, the existing and potential barriers, etc. The findings would be integrated into my proposal to point out its strengths and weaknesses and how to address them adequately with this particular product integration. After extensive research, I propose that we consider integrating GeoGebra, an award winning, dynamic multi-platformed math and science software, for all levels of Math teaching and learning that comes with in many languages. The application is free, open, and could be downloaded from the internet. It joins geometry, algebra, tables, graphing, statistics and calculus in one easy-to-use package. It it being used in a growing number of schools globally and its community is growing fast. However, there are potential obstacles and suggestion on how to overcome them. This software was created by an academic who has strong experiences in math education, computer science, and education research. Please see the creator’s profile here. Also, this app is extensively supported by peer-reviewed academic research and some interesting ones come from Cambridge University by Dr. Lavizca. I would suggest that we start with a pilot project in few schools, and if the results are favourable, we are to expand it all schools. At the moment, the board is using the Geometer’s Sketchpad (GSP) that comes with a steep price tag, the upkeep of licences, and some bugs. On the flip side, GSP is already being used in our board, belongs to McGraw Hill Education, has a solid tech support, and it does come with textbooks and other resources that integrate the software in a meaningful way. However, as we are moving more and more away from traditional textbooks this feature might become obsolete in the near future. The Return on Investment (ROI) in adopting GeoGebra that is free could be significant if we are to consider all schools in the board and that we no longer will need to purchase the licences for GSP. We are looking to be eliminating the cost of roughly $200,000 per 2-3 year span (a licence cost of $15/computer x average 100 computers/school x 107 schools = $160,500 +$40,000 approx. cost for troubleshooting and upkeep costs in terms of time). The figure is dependant on the lifespan of our computer equipment that currently is enduring quite heavy wear and tear and on average needs to be replaced every 2-3 years. The figure above could address some of many of our more dire and immediate needs and becomes significant in savings if we are to look at in the long run. The cost is the training of our staff that could be done during already mandated professional development days and therefore, reduced. The workshops could be led by our GG teacher experts, or we could pay for the outside experts as well at the estimated cost of $500 per workshop. To become a proficient user of GG, on average of 30 hours are needed. This could be accomplished with 4-5 PD sessions in a year. The additional cost would be around $2,500/year. The additional cost would be in terms of time needed for our tech staff to download the software onto the schools’ computers. However, this could take (10 min x approx.10, 700 computers) to staggering 1,783 hours. To reduce this number, teachers and students could download the app as it is quite straightforward. 3. Windows, Linux, Mac OS X, Android, iOS, Windows RT. 7. Solid help-desk support over the phone, online, etc. GeoGebra could be used for K-12, higher education, and commercial use as well. In our case, the product is marketable across our board, and potentially on a provincial and national level of our public school system. However, in this context, the focus is to offer this software to grades 9-12 of our local board. The diversity of the product is that it could be implemented for earlier grades as well; the potential benefit is that the students could grow academically while getting familiar with the software use from an early age. Just imagine the competency and expertise in software manipulation if they were exposed to it from the get go. This interactive software connects both geometry and algebra, and can be used for learning of statistics and calculus. “The software offers two representations of every object: the numeric algebraic component shows either coordinates, an explicit or implicit equation, or an equation in parametric form, while the geometric component displays the corresponding solution set” as mentioned by a student. The interface is easy to use yet it comes with many powerful features. There is also an authoring tool to create interactive learning materials as web pages. The software is used on Windows, Linux, Mac OS X, Android, iOS, Windows RT. Although there are other softwares on the market, this one comes with close to 94,000 materials on GeoGebra Tube that could make a life of a teacher much easier and is available in over 60 languages. Please see here: http://tube.geogebra.org. The forum provides materials for beginner users, guiding packages, troubleshooting, and a thriving community willing to share: http://geogebra.org/forum/. However there is no formal tech support service available via phone or instant online trouble-shooting but there are help desks contacts available. The institutes are all over the world, and those interested in GG could become their local ambassadors. The certification is also available, as well as the workshops. However, the conferences and workshops are tied to physical spaces and specific dates and therefore not readily accessible to everyone. The application is rooted in an academia and supported by research. It is open sourced with a growing number of contributors. The community is quite large and growing. The team consists of research, software development, finance, community support (teacher training and research),a STEM rep, advisors, volunteer translators, etc. 3. WHO IS THE BUYER? Please refer to an earlier section of this document. However, the buyer could be any educational institution/organization and the product could be bought centrally. The buyer could be individual teachers who see the value of the product, a parent,a learner, or a commercial institution. In our context, the buyer would be our local board that specifically buys it for grades 9-12. We are talking about the market where there is a need for interactive and dynamic math software for teaching and learning and with “access” to internet: Anglophone countries, “European” countries with language skills and those requiring translation, and a few “Asian” countries. Those regions with restricted or poor quality internet service might be able to download the software to be used offline but would need to keep updating it for it to stay current. Based on preliminary face-to-face informal interviews, there are many teachers who use or would use this or a similar product in their classroom in our board. Given this context, I would look at the market as a number of math teachers and students in our local board. Based on that and the initial sample survey, I would compile a pie chart that exemplifies uses and practices of this/similar product and analyze other components as well to provide an accurate “market” status breakdown. This technology works well with the system in place as long as teachers are willing and see the value in using it. In this context, this learning technology “could” be imposed and compete with the existing one (GSP). Instead of the term imposing, I would rather use “the teachers are given the opportunity to see the value in adopting such a technology” along with adequate incentives in terms of professional development on “school’s time”, and plethora of materials to integrate it in their practice. Teachers are convinced that this technology would make their teaching more effective and current. Teacher ability to switch and adopt the “new” technology quickly; training time might be needed, and teacher willingness to adopt could be some of the barriers that might need to be addressed. What I see on a daily basis, although there is an initiative on promoting technology, that the use of technology is at times met with a use of a graphing calculator. Often teachers resort to this option as the curriculum is dense and time is limited. There ought to be a push for a change to be reflected clearly in the curriculum document along with the development of technology skills coupled with learning of math/science/other subjects. Teachers need to be willing to adopt the new technology. Many incentives ought to be in place: some teachers could become board experts by getting a certification, others could become school leaders in the area, etc. Teachers need to see the value in using this technology or switching to the new one. Students get to use it for free on their own devices and hence have more opportunities to become self-regulated and independent. Also the new technology is more flexible, caters better to our school population, etc. Teachers could see a new technology as a one more thing to learn in their already busy lives and be resistant to it. Teachers ought to be given time to learn the new features on the school’s time, through PD, and see that their lives could become “easier” with an extensive library of resources and new tools and features to be taken advantage off. Clear how-to guides could be helpful, and providing comprehensive lesson packages with how to instructions along with the curriculum expectations could be seen as having a real value. These packages should have the option to be easily tweaked to suit specific needs. Besides this, learning how to use this software by both teachers and students should be straightforward. The learning curve is steep, and should be effective when everything else is in place! I have created my Analyst Report on NoRedInk because it is a site that I have used in my own teaching and have shared with colleagues and everyone seems to really enjoy. The concept uses effective teaching practices and learning analytics to help students learn grammar rules in order to improve their writing. I really enjoyed looking at the site from the role of an Educational Venture Analyst because it has helped me in revising my own venture. While I love NoRedInk as a teacher, I have noticed that there are actual many ways in which they could really improve the product and expand their possible revenue, so this type of thinking is what I need to apply when looking at my own pitch. Of course, there is also the issue of pricing which has not been made public and I think this is an additional downfall and might turn off potential purchasers. The fact that they do not have a mobile app and that everyone requires an internet connect to function has been the main area that worries me, and so I am trying to think of how I can use an offline mobile app to improve my educational technology venture. One really needs to wear multiple hats in order to be an entrepreneur these days! My reflection/rationale is listed under Final Thoughts. As Interactive Whiteboards are aging in my school, they are needing full replacement. The costs associated with this are extremely high, so I have begun to consider other solutions that allow interactivity, while lowering costs. 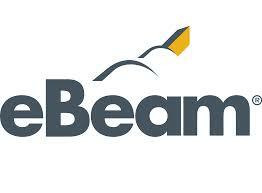 One solution I had the opportunity to try out was the eBeam Edge Wireless. I have furthered this experience by creating an analyst report on the company. This report includes my personal reflections. Please see the attached link. I have opted to review an application called TeacherView. It is made by a company called Aerohive Networks who specialize in Wi-Fi hubs for larger companies and organizations. I have decided to do a Weebly simply because I wanted to include many youtube videos and links and also wanted it to be as user friendly as possible. Please peruse my site at your pleasure and enjoy all the fun videos and interesting facts as you learn more about TeacherView! Hi Everyone! 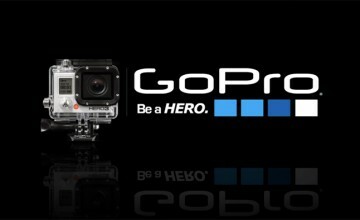 Welcome to my Educational Venture Analyst report on the GoPro product for use in educational environments for new technology initiatives. My personal reflection is built into my site! I urge you to watch the intro videos first before the presentation. There are also videos embedded into the presentation, which you may have the option to watch or skip if desired. Enjoy! Below is the video I created to introduce the product to an investor; convincing or not, they better listen to me! Below is the SLIDESHARE Presentation that I created, however I urge you to download the presentation to watch the videos that are embedded within. 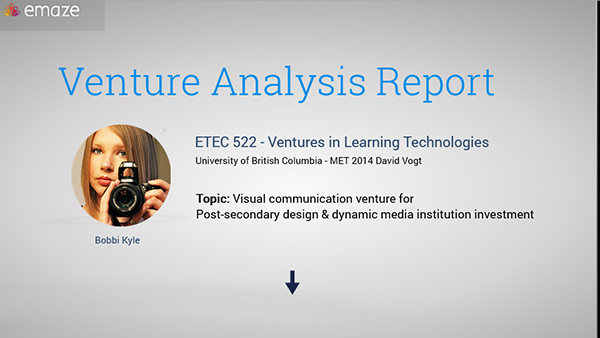 I chose to analyze web-conferencing solutions that support collaborative mobile learning. The mechanics of designing a virtual classroom based on web-conferencing thrills me. Determining which elements of collaboration are most valuable to mobile learning is crucial. However, it was daunting once I realized that I could not find a venture that pitched a mobile virtual classroom. There may be a good reason why ventures that incorporate a virtual classroom into a business model are not crazy about mobile learning. Although collaboration and mobility are both major selling points for web-conferencing solutions, many of these features have less educational value on mobile devices than on desktop. I was determined to find the best mobile web-conferencing solution, but this was not easy because for every superior feature a solution offered there was something that it did terribly wrong (or did not do at all). The best way to recommend a solution was to rate features and calculate the highest score. Lastly, I thought that an EVA promoting mobile optimization should itself be optimized for mobile so I chose Wix as my medium of choice. Wix employs several editing tools to optimize web content for mobile viewing. I also like that Wix makes it easy for others to comment because I do not believe that my recommendation is final, which I explain why at the end of the report. I teach high school math online courses. Unfortunately, it is not easy to type or represent mathematical/scientific equations, expressions and symbols on a website or in a learning management system (LMS). It is difficult for students to complete online quizzes and tests in Moodle or communicate their questions/responses electronically with the teacher and other students. 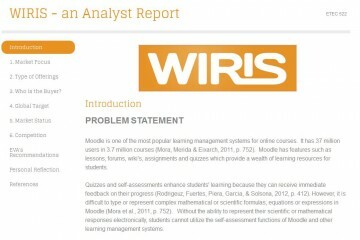 WIRIS is a powerful software that provides tools for teachers and students to insert mathematical formulas into web pages, complete online quizzes, and access a powerful graphing calculator both online and offline. I have decided to review this company because I am planning to use these tools in my courses. Please click on the image below and you will be directed to my analyst report (completed in the form of a website). My EVA recommendations and personal reflection are also found on the same website. I decided to do my EVA on a platform that I have been using in my classroom and have found to be very effective, Edmodo. I have been using Edmodo for about four years and I am continually astonished at all the things that can be done with it. 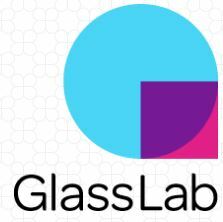 For an application that is free to all users, it provides great customer service, ongoing professional development through the company itself, and through the connections made with the groups and other teachers globally. It allows teachers and students to continue learning and collaborating outside of the school’s brick walls. Edmodo has grown in leaps and bounds since its inception in 2008 and shows no signs of slowing down. I am excited to see what they develop in the future for education. Please click on the link above to view my Prezi. My Venture/My Reflection: In my school, there is a strong emphasis on literacy & numeracy and educators constantly look for ways to teach students with 21st century skills. Therefore, I chose Khan Academy for my analyst report as we are considering to seek services from this online educational company. The analysis of this venture shows many positive findings relevant to educators and education leaders. Khan academy has proved to be the leading digital learning organization in K-12 education. This academy offers a framework for nontraditional learning by empowering students to learn on their own and become self directed learners. The use of technology is inevitable; thus such a model can provide best practices for the use of digital technology in classrooms. Kindly find the following link to access my prezi. Crowdsourcing is a term that was invented by Wired magazine’s Jeff Howe in 2005(Safire, 2009). It is a portmanteau of the words; crowd and outsourcing. According to Wikipedia(2014), “[c]rowdsourcing is the process of obtaining needed services, ideas, or content by soliciting contributions from a large group of people”. The concept is used in different ways in different contexts however it has yet to have a big impact on education. 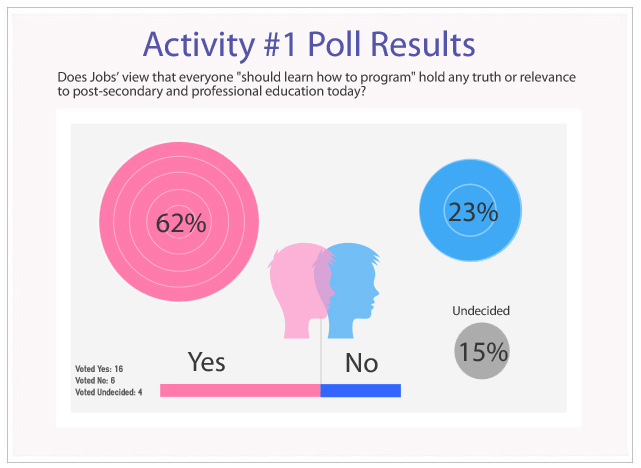 Saskatchewan is lacking a well organized and comprehensive lesson plan database. Crowdsourcing is the solution. Much of our time is spent reinventing lessons and units because it is time consuming to search online for high quality resources that cover our curriculum’s outcomes and indicators. In the past ten years, curriculums have been renewed and brought up to date. It is time that our system for sharing and validating lesson plans is brought into the 21st century as well. Currently in Saskatchewan, there are a few ways to search for ready-made lesson plans that cover our curriculum. The first is to check the Stewart Resource Centre which is a well maintained if limited database of teacher made lessons and units. Next would be to check a division website for resources of which few are easy to navigate or search. Finally, the solution for many teachers is to turn to non-professional online lesson plan databases which do not align well to our curriculum outcomes and indictors, but have lessons that can be adapted. The result is a lot of time spent creating lesson plans that have already been created by Saskatchewan teachers. The Saskatchewan curriculum website is an aesthetically well organized website, however it has few, if any, linked resources. The traditional model where a small number of curriculum designers evaluate lesson plans, recreate lesson plans to align with outcomes and indicators, and post lesson plans on a database, is not practical and does not fit with the ideals of collaboration. Teachers themselves are a largely untapped resource when it comes to lesson planning. We need to start trusting the collective knowledge that the teachers of Saskatchewan have. As professionals in the classroom, teachers understand the needs of students and the needs of colleagues. High quality lessons are being taught each and every day in classrooms around Saskatchewan and yet we do not have a professional database in which to share these lessons with our colleagues. Teachers spend a large amount of in school prep time and out of school time planning lessons. It is understandable that teachers tend to go back to what is tried and tested when lesson planning becomes too time consuming and overwhelming. When teachers are overwhelmed, they stop being innovators and start doing the best they can with what they have. A lesson plan database would relieve a lot of time and stress from lesson planning and allow teachers to be innovators again. Prior to Wikipedia, an online peer edited encyclopedia called Nupedia existed and lasted from 2000 to 2003. The demise of Nupedia was caused by too rigorous of a review process for new and edited content. It required high quality reviewers and editors to review and edit each new piece of content which put too much pressure on a small group of people. 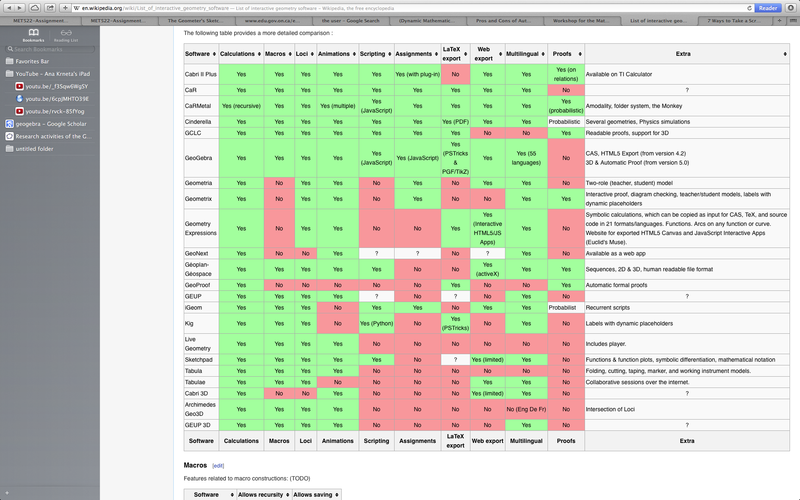 Wikipedia’s model does not require editors to be professionals, in fact, any user can edit content. As Wikipedia has built up a large body of volunteers who review edits and new content, the quality of the content has continued to improve and is now regarded highly by users. The lesson is that, in lesson plan compiling, the users (teachers) are already professionals in their field and understand their content area well. A rigorous review process is not required by a small body of curriculum designers before the content is shared. The benefit of a wiki model is a simple process for contributing and for editing content. Crowdsourcing is a strategy that has been used in many industries successfully. Crowdsourcing, at its base, is allowing users to determine what has value based on a rating system, a comment system, a tagging system or other systems that allow good content to rise to the top of a search page and poor content to stay at the bottom. The model has had huge success in numerous industries. Familiar crowdsourcing websites include; hotels.com, yelp.com, amazon.com, wikipedia.com, quora.com, and pinterest.com. These websites cover diverse industries such as hospitality, commerce, knowledge databases, and social bookmarking. These websites are popular, not because they have perfect information, but because they have gathered, rated and sorted through information from people like us. The websites, hotels.com, yelp.com, and amazon.com, are commercial websites that allow the consumer to read reviews from real people on the products or services offered. For most of us, we trust these reviews and feel knowledgeable about a product or service after reading a few reviews. These websites also have star rating systems which are easy to understand and hard to ignore. A common feature of commercial crowdsourcing websites is an aggregator that brings the most highly rated products or services to the top of the search page. The websites, wikipedia.com and quora.com are knowledge databases. They are curated by the public and yet have created a high quality product. Wikipedia is a wiki based website that allows anyone in the world to edit its content. After content has been edited, it is reviewed by a number of volunteers who have devoted their time to ensuring high quality content. Useful features of wikipedia include a system for tagging questionable content and the ability to review changes. Quora is a question and answer website where users can ask any question and get responses from any user. Quora effectively uses tagging to sort through topics. Users can tag their question with any word they believe relates to the question and this allows users to discover relevant content easily. Questions are sorted by topic and answers are sorted by a rating system. The more traffic a question gets, the higher that question lands on a topic page. Users who answer many questions and consistently get high reviews become star contributors and are trusted more by users. Social bookmarking websites like pinterest.com are simply for bookmarking interesting pages by topic. Pinterest pages are user created and do not have a rating system. Pinterest is a worthwhile concept to draw from because it is already well used by teachers around the world to gather educational content. Crowdsourcing has some precedence in education. Crowdsourcing is being considered as a model for creating post-secondary curriculums. 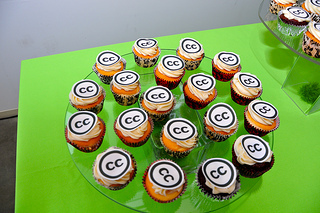 One model proposed by Washington Helps and Emmanuel Grant (2013) is based on wikipedia.com where users are free to contribute and edit content. Their project began with a clear framework so, although it sounds as if users may change content so that it no longer follows the goals of the curriculum, it is highly unlikely that users would do so deliberately. The result of a collaborative curriculum project is a curriculum that meets the needs of many and can be continuously renewed. The open education movement is a loosely connected movement that is trying to provide cheap or free education to people who need it most. The movement relies on an army of volunteers who are also professionals to share high quality content for learners around the world to access and use. In education, crowdfunding is a new buzzword as well. A quick google search shows how many educational ventures are using crowdfunding to accomplish their goals from raising money for post-secondary scholarships to raising money for art projects in lower income schools. Even the idea of a crowdsourced lesson plan database is not a new idea. BetterLesson.com is a website that was created in 2009 by Alex Grod, a sixth grade teacher. BetterLesson.com is a crowdsourced database of lesson plans that have been submitted by teachers around the world. It is based on the American Common Core framework although it has users from around the world and a variety of lessons on diverse topics. Lessons can be searched by key word or topic via a search bar or can be searched by math and English outcomes. Lessons follow a basic guideline and media can be added. Lessons also show which indicators have been covered. BetterLesson.com has a user feedback section for each lesson plan and a simple ‘like’ rating system. It currently has more than 350,000 users and it would not be feasible for a small group of teachers to curate the content however the website has managed to continue to provide high quality lesson plans through crowdsourcing. Uclass.io is another crowdsourced lesson plan database. It is created with school divisions in mind. School divisions may purchase a copy which allows their data to only be available to their teachers. It has numerous features that support collaboration such as a link to share content with other users and editable content. Uclass.io allows users to create, share, and analyze content. The website is very professional looking and easy to navigate. Uclass.io is a very worthwhile site to consider as a model for a Saskatchewan lesson plan database. A lesson plan database is needed in Saskatchewan. There are different models to look at and pros and cons of each. BetterLesson.com and Uclass.io are both excellent examples of successful crowdsourced databases. By drawing on successful crowdsourcing ventures, we will find a solution that works best for our province. As with any venture, there are some features that are necessary and some that are nice but not required. Teachers must have a clear lesson plan framework to follow that includes applicable outcomes and indicators. If teachers have a clear framework for lesson plans, each lesson will be high quality and easy for others to use. Teachers and curriculum designers must be able to edit content to make it align with the curriculum better. A useful model for this is a wiki which also tracks changes. It would be useful but not necessary to be able to upload any media type. There must be a system to rate content based on cross-curricular competencies and the broad areas of learning. There must be a comment section for each lesson for teachers to evaluate and recommend the lesson. These systems allow good content to rise to the top of search pages. Curriculum designers must have the ability to tag questionable content and delete poorly made lesson plans. A crowdsourced lesson plan database also needs to have multiple ways to search for content. This would include tagging, keyword searching, and searching by outcomes and indicators. Searching by outcomes and indicators also encourages creators of lesson plans to be aware of the curriculum. A useful feature would also be a way of distinguishing users. On online message boards, users gain status by the amount of contributions they make. In a database it would be easy to include a simple descriptor, such as ‘star contributor’ or ‘curriculum consultant’, after certain names. Saskatchewan needs a lesson plan database. We need to tap the great resource we have at our fingertips. Many teachers in our province already post lessons and ideas online, we need to share the knowledge that we have, on a professional crowdsourced database. We need to trust our teachers to create and evaluate lesson plans so that we can have a resource that is second to none. I decided to do my analysis on Yammer, a social networking application. We currently use this Basic version in my organization but thought there might be value in the Enterprise version which offers customization and complies with privacy policies. While researching for this project, I under estimated the mountain of government policies and processes that are involved in even recommending a product. The analysis assumes that all this is done previous to putting the report together, but I realized that the pre-work to the report alone could deter any prospective organization in pursuing tender. Although social networking is still relatively new, especially in the workplace, I was also surprised to find that there is still little information and research done on the educational impact of social networking. Much of the focus has been on the impact of marketing but there is still a lot of work that can be done to understand the educational benefits of informal learning in social networking. I decided to analyze an EdTech venture that I am excited to try in my own classroom. Formative assessment is so vital when teaching, and yet it’s the most difficult to get, especially in the middle of a lesson without interrupting the flow of things. Geddit provides immediate feedback on whether students are “getting it.” I was excited to research this venture, but soon found that information was scarce. It’s a very new company, having just received funding from an EdTech Accelerator this past year. There also aren’t a lot of competitors in the market. Good for this venture, bad for market research. Reflecting on their business strategy of marketing the product directly to teachers seems to be the best move at the moment, although much less lucrative in the long run. However, as the founders correctly determined, schools have a very slow procurement process, and much red tape to cut through. This makes it very difficult for a startup to sell to districts and schools, however that is their eventual goal. I think investors recognize the tremendous value that Educators place in student response systems, and that the barriers to widespread use have always been cost. However, with tablet classrooms becoming ubiquitous, and the proliferation of smart web-connected devices, BYOD solutions such as Geddit are becoming much more compelling. Through the creation of this presentation I came to a number of realizations that will serve me well I as continue on in the MET program. The first realization was that market research is difficult when the company is new. This manifested itself when I encountered that it was near impossible to find any financial information regarding developer of the application I analyzed. Since the application is only a couple years old, and the company is not publicly traded, it was difficult to ascertain market information from their perspective. Luckily, SMART Technologies is one of their direct competitors in the interactive whiteboard market, and since they are publicly traded, their annual information form provided a wealth of information regarding the interactive whiteboard market. The second realization that I came to was the potential for synergies between application developers. I know that for developers this comes as no surprise, but as I researched Explain Everything I began to see the opportunities for collaboration in the market place for this application. I decided to complete my Venture Analysis Report on a local project in which I have been an important part. I am excited and proud to have worked on this project however, through this assignment, I realize that there are some serious concerns associated with this project. I am still proud of the work that I have done but I also realize that there is a lot of work that needs to be done. I did not realize how easily I could be blinded and fail to see important ethical issues with regards to industry and education partnerships. This is even more serious when I consider that Teck Resources is the major employer in the area. People have very strong feelings about Teck and this is a factor that must be handled delicately and professionally. I chose to create a PowerPoint because I want to share this with my colleagues at our next Local Specialist Association Day next fall. Since my chosen topic was a web-app for design & dynamic media I chose to use a new dynamic presentation tool within that realm. There are extended media links indicated by arrows within the file, and also an external link to a basic SWOT analysis used to compose the report. Little information was actually available about the financials of the product itself given it’s newness so I examined how it was situated in relation to the target market. As a student of design, evaluating a venture from the perspective of potential investors is a new vantage point; it’s a critical one that perhaps isn’t educated for enough in the field. I remember my “Professional Practice” class in the final year of my degree, which was all about protecting one’s own interest and intellectual property through contracts. It didn’t come close to preparing one for the possibility of entrepreneurship, which in perhaps short-sighted when 29% of Emily Carr grads are cited as entrepreneurs. Typically in my field designers are taught to create a meaningful products from the end-user (buyer) perspective user using novel approaches, but this thinking rarely extends to the larger processes and forces at play in actually launching and supporting a successful venture. This is perhaps why many wonderful product ideas fail, or are launched many years later in similar form by those with the skill and the know-how to do it. The supporting facets of a product that might be required to achieve this could potentially be designed-in to support the larger goals if considered. In short, I’m realizing that designers need to consider (in addition buyers/users) the role of a successful entrepreneur, the needs/aims of venture capitalist and the specifics of the market if a product/infrastructure or service is to be feasible. I will consider this in my upcoming opportunity pitch. In many ways the actions of the entrepreneur in mediating all of these complex factors are perhaps more important than the design, as one’s actions in the market must be effective, critically timed, and well supported at every important turn. When considering educators in relation to buying into or funding projects, they are not always the lead buyers hence why the interest of administrators must be taken into consideration. Also while it is a nice thought to think that a revolutionary new product might be invented to up-end or replace existing educational product infrastructure, this is in reality a monumental goal given past and continued investment and costs sunk into these infrastructures. Often small, low-cost modular solutions that may be retro-fitted or integrated into existing programs are more attractive and present better opportunities for entrepreneurs, ventures, and investments. This will also serve as a useful lesson for my upcoming opportunity pitch. 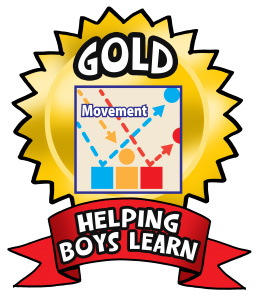 I chose to review Helping Boys Learn as I am working with the founder, Ed Dixon, to build online, mLearning modules for schools districts and parents. The modules are created with Articulate Storyline so I used it to create my presentation as well. Right now Ed has his MVP (Parent modules) and he is receiving positive feedback. The scenario in my presentation, to present to Joe Fulcher at San Diego Unified School District, is real. We will edit some of the information, and shorten the experience, but our intent is to use the analysis as part of our presentation to the Superintendents there. For those exploring my presentation I’ve built in lots of hidden information so hover over images to learn more. 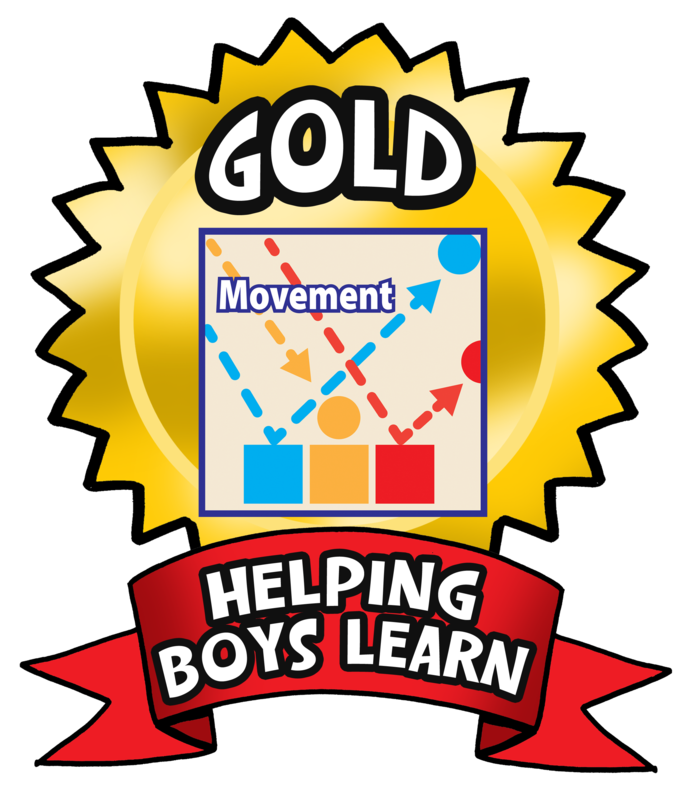 Also, I’ve included the first module in this program – Movement – into the presentation. You’ll find it under the “Program” tab. You can go through the entire Movement module or click the home button at any time to return to the analysis report. I just wanted to clarify whether weekly groups will provide permission to share their links… for example, week #8, we are doing cloud learning and would like to be able to provide a link to week #5’s Cloud Based Apps site.